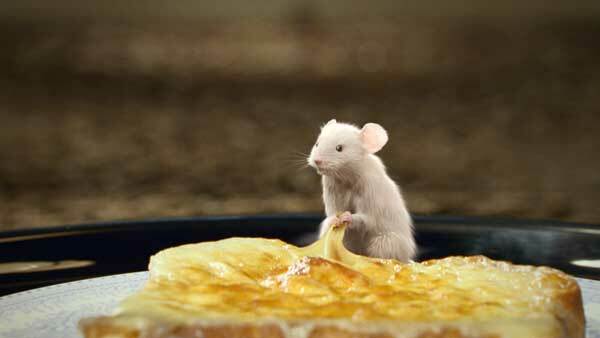 The spot illustrates just how far a mouse will go for a nibble of cheese on toast, featuring an acrobatic super stunt rodent defying thousands of mouse traps. The spot was produced by Jo Charlesworth at Fallon and John Madsen at Outsider. 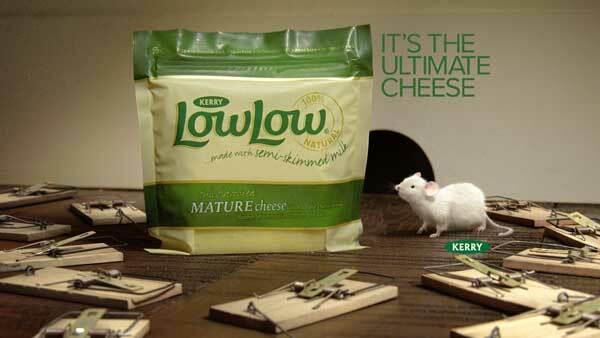 The pet mouse donated by dom&nic helped the MPC artists develop the look of Kerry LowLow’s CG hero and to familiarise them with rodent movements and facial expressions. Reference pictures were taken during the shoot and used as the basis of the perilous stunt. MPC VFX Supervisor Jake Mengers, who has been responsible for other CG creatures in the past, led the team that animated the hero character. 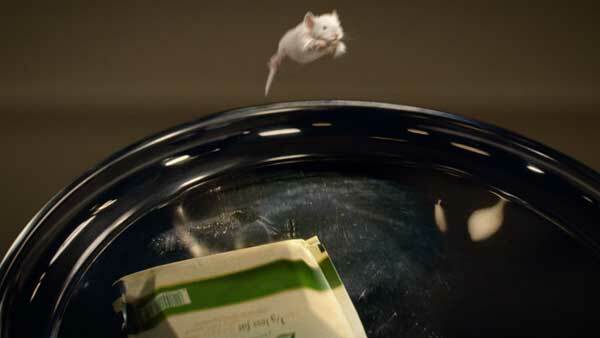 The mouse retained a realistic look for the first part of the commercial before his transformation to stunt mouse for the second half. Maya was used for animation, with in-house tool ‘Furtility’ grooming the fur and Renderman and Tickle used for the rendering. 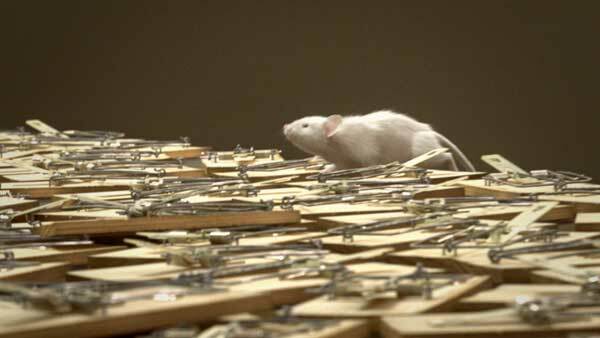 One of the main technical challenges was animating the many thousands of CG mouse traps seen snapping and colliding with each other in each shot. 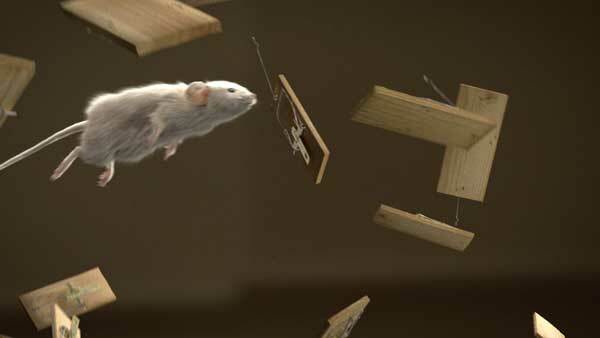 To achieve this physics-based ‘domino effect,’ Ashley Bernes wrote a series of event based simulation scripts to automate the traps snapping behaviour based on incoming collisions. This worked together with another of MPC’s in-house tools, PAPI to create the action shot. 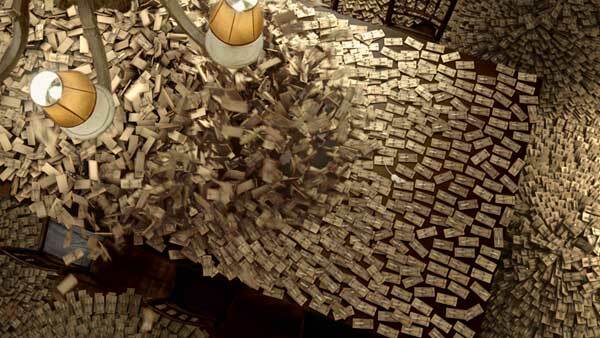 With the directors wanting control over all camera moves in post, the compositing process was equally intense. 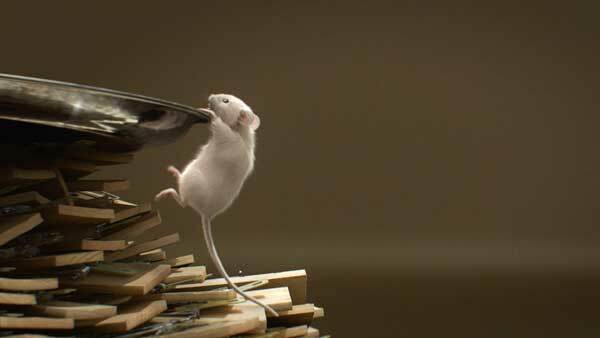 Led by VFX Supervisor Stephen Newbold, the 2D team used Nuke to composite the 3D heavy shots – Mouse was the first MPC project to be done exclusively in the Foundry’s software. Nuke’s ability to work with huge resolutions was well used, as some shots in this job are over 8k, and it enabled the virtual 2D camera moves which zoom right into the mouse. 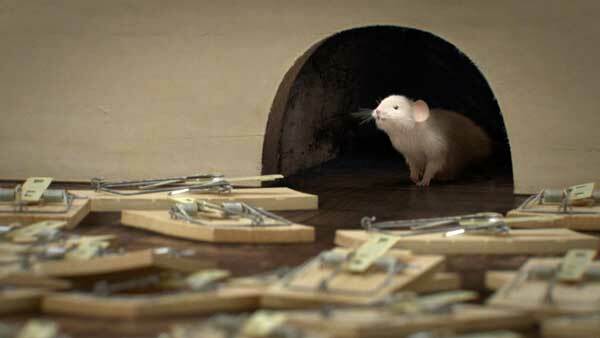 The CG mouse and traps were all composited and graded in a linear workspace using multiple passes. Extensive clean-up and floor replacements were also carried out and Jean Clement Soret added the master grade.